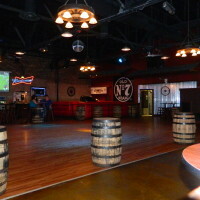 Wild Greg's Saloon Pensacola and Wild Greg's Saloon Lakeland, and Soon to be Wild Greg's Saloon Minneapolis, are also Event Venues with flexibility to host small to large scale celebrations, corporate gatherings, and social events. Enjoy a Beautiful View from our spacious Balcony. From Presentations to Dancing we got you covered! 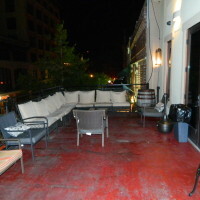 Wild Greg's features a big open floor plan for your event. Let us customize your event. We partnered with great Caterers to Cater your event. In addition, if you would like to bring your own Caterer. You can do that too! DJs, Line Dance Instructors, and even a Mechanical Bull! We offer in-house DJs for your event to Line-Dancing Instructors to teach everyone to Line Dance! Each Location also has the Wildest Mechanical Bull you'll ever Ride! !